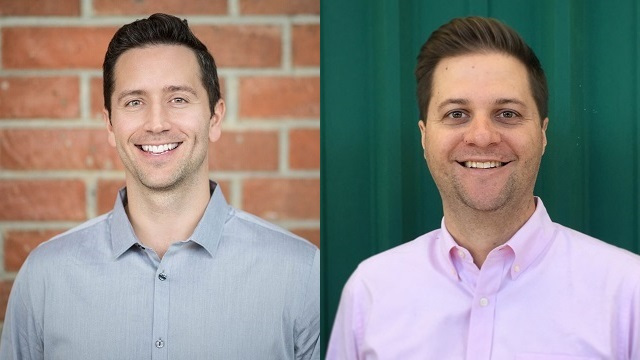 LOS ANGELES -- 3/21/2017 -- Jukin Media has hired Brendon Mulvihill, former Head of Content Licensing at GoPro, and Zach Alter, former Vice President of Sales at SheKnows Media, to leadership positions within Jukin. Mulvihill will lead Jukin’s rapidly growing licensing business, while Alter will lead Jukin’s direct sales team. Mulvihill will be Senior Vice President, Global Head of Licensing, and will lead all aspects of Jukin’s licensing business. Mulvihill joins at a time when Jukin has doubled licensing revenue in each of the past three years on the strength of major brand and entertainment accounts, and most recently, the emergence of Ethos, Jukin’s white-glove clearance and licensing offering that allows brands to leverage Jukin’s tech and expertise for UGC video discovery. Mulvihill was in charge of building out and leading licensing for GoPro, which allowed advertisers to license videos from the company’s community of UGC video creators. Prior to that, Mulvihill led the Los Angeles office of Wazee Digital (formerly T3Media), licensing content from CBS News, Sony Pictures, and the NCAA, among others. Mulvihill will report to Cameron Saless, Chief Growth Officer of Jukin Media. “Brendon is a known dealmaker, and he shares our understanding of how UGC video is changing advertising, media, and entertainment,” said Saless. Zach Alter will assume the role of Vice President, Head of Sales, where he’ll be in charge of sales and branded entertainment for Jukin’s portfolio of owned and operated social video properties: FailArmy, People Are Awesome, The Pet Collective, and JukinVideo. The brands combine for more than 1.5 billion monthly video views and more than 55 million fans across social platforms. Working with top brands on comprehensive web and video campaigns, Alter led sales efforts for Sheknows out of the company’s New York office; prior, Alter spent six years building and leading the company’s integrated marketing and sales strategy practices. “The Jukin brands have massive, engaged fan-bases, and they offer creative opportunities for advertisers to grab and hold consumers’ attention,” said Alter, who will also report to Saless. Previously Jukin’s ad sales were represented by an outside firm. With Alter, the company will bring its ad sales completely in house. Jukin Media is a global entertainment company built on the belief that the future of storytelling is user generated. Jukin provides a wide range of solutions that allow premium brands, publishers, and media networks, to commercially utilize user­-generated video content. Jukin produces original content for TV, the web, and emerging platforms, and is owner/ operator of a portfolio of social video properties that includes FailArmy, People Are Awesome, The Pet Collective, and JukinVideo; the properties combine for more than 55 million fans online and 1.5 billion monthly video views. For more information, visit http://jukinmedia.com.